Red oak, any member of a group or subgenus (Erythrobalanus) of North American ornamental and timber shrubs and trees of the genus Quercus, in the beech family (Fagaceae), that have bristle-tipped leaves, acorns with hairy shell linings, and bitter seeds that mature in two seasons. The red oaks are found in North, Central and South America. 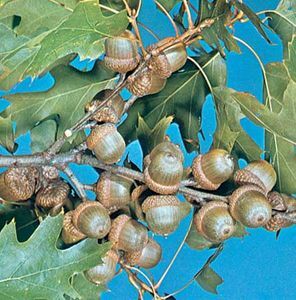 Styles long, acorns mature in 18 months (in most species), very bitter, inside of acorn shell woolly. The inside of the acorn shell appears woolly. The actual nut is encased in a thin, clinging, papery skin. Leaves typically have sharp lobe tips, with spiny bristles at the lobe. 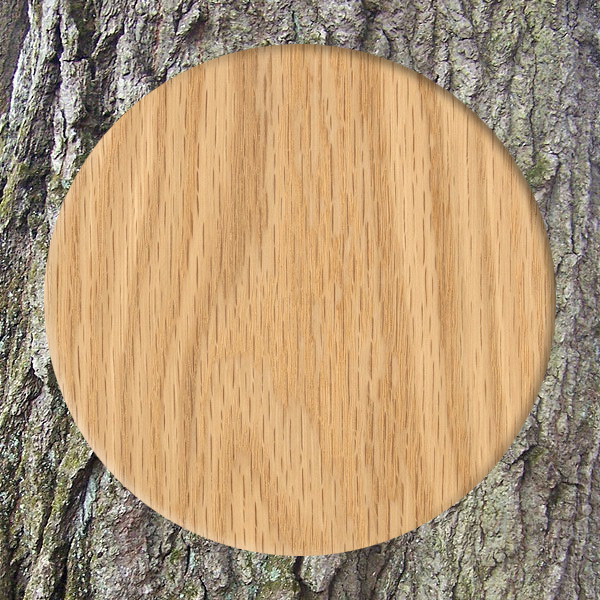 Of the North American oaks, the northern red oak is one of the most prized of the red oak group for lumber, much of which is marketed as red oak regardless of the species of origin. It is not good for outdoor use due to its open capillaries unless the wood is treated. If the wood is properly treated with preservatives, it will not rot as quickly as cured white oak heartwood. The closed cell structure of white oaks prevents them from absorbing preservatives. With northern red oak, one can blow air through an end grain piece 10 inches long to make bubbles come out in a glass of water. These openings give fungus easy access when the finish deteriorates. 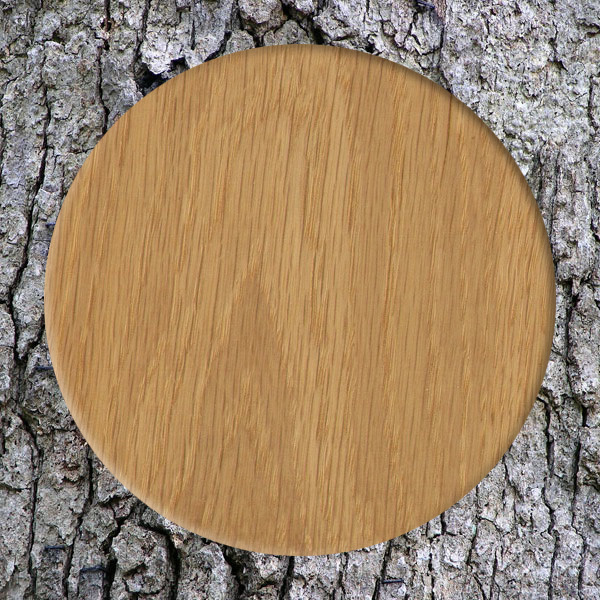 Shumard oak, a member of the red oak subgenus, provides timber which is described as “mechanically superior” to northern red oak. Cherrybark oak is another type of red oak which provides excellent timber. The Northern Red Oak is the provincial tree of Prince Edward Island, as well as the state tree of New Jersey. The Live Oak is the state tree of Georgia, USA. 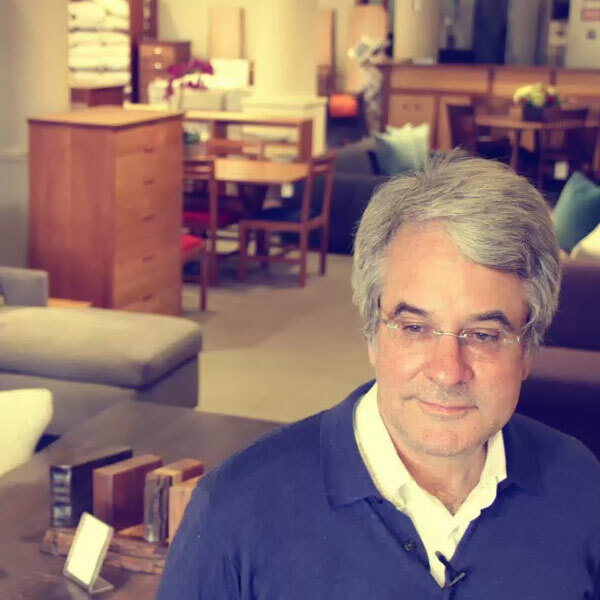 At Scott Jordan Furniture Inc., we have been making platform beds, dressers, armoires, wall units, bookcases, cabinets, dining room and office furniture in our Brooklyn workshop for over 30 years. We offer our work in a selection of locally sourced hardwoods; Pennsylvania cherry, walnut, red and white oak, maple and birch. We finish our work with non-toxic plant oils and waxes; safe for you and safe for us.